In this video I look at the hardware for the Arduino and how it compares to that other microcontroller I’ve worked with, the Netduino. In today’s tutorial we go over using digital inputs with the arduino to turn on an LED whenever a button is pressed. We also discuss the evil that is the floating pin and how to solve it. In today’s Arduino tutorial, we go over the Uno’s built in serial communication. We look at talking to the Arduino from the computer and vice versa, the difference between print and write, and my trick to getting the Arduino to accept strings of data, rather than just characters. In today’s Arduino Tutorial, we look at the pulse width modulation, PWM, pins on the Arduino and their various applications, including producing a pseudo-analog signal and controlling a servo. In today’s Arduino tutorial, we examine the use of the analog input pins, how they work, and how they are configured and used. As mentioned in the video, I have really come to the end of the basics of the Arduino. I still have more to go to but I’m also looking for input. So if you have an Arduino related question, please leave it in the comments below. Also mentioned in the video is the start of the Arduino Project Challenge, so keep watch for that. In today’s Arduino Tutorial we discuss the basics of interrupts, their applications, and, more specifically, external pin interrupts. Today’s Arduino tutorial covers using I2C to communicate with an EEPROM chip. This is only part one of the I2C videos, there will be another covering Arduino to Arduino communication as well. I received my Arduino Leonardo in the mail today, so I thought I’d go over the difference between it and my Uno. I’m going to using the Leonardo in some future videos to demonstrate dual Arduino capabilities, and what the Leonardo can do. Today, we continue with the second part of the Arduino I2C communication tutorial, using I2C to communicate between two Arduinos. In today’s Arduino tutorial, we look at the Leonardo’s built in USB emulation capabilities. Specifically, generating keyboard output. Remember that it is a good idea to add a switch to your code to ensure that the board stops acting like a keyboard, so that it can be reprogrammed. In today’s Arduino Tutorial, we explore using “5 dollar” transmitters and receivers to send data between two Arduinos without wires. In today’s Arduino Tutorial, we look at using the internal EEPROM included on the ATmega328p. In today’s Arduino tutorial, we examine a more mischievous use for the Arduino Leonardo’s mouse emulation ability. 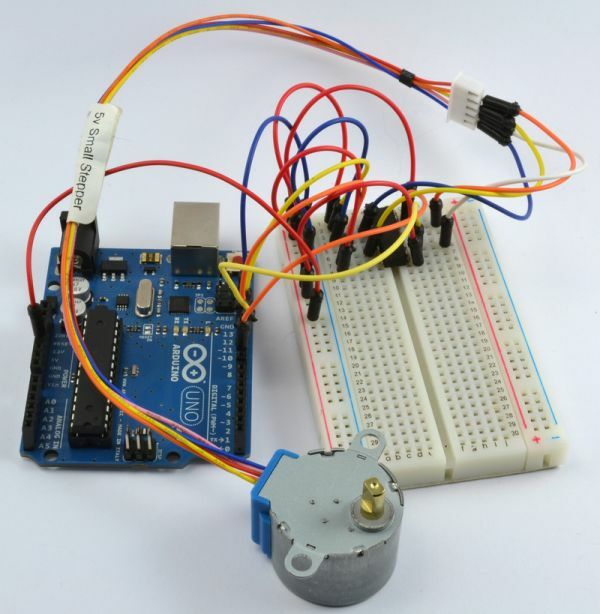 In today’s Arduino Tutorial, we use the ULN2003a IC to control a motor. In today’s Arduino Tutorial, we look at using a shift register to demonstrate the Arduino’s simpler SPI communication.